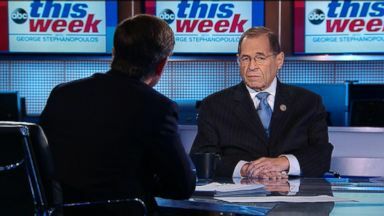 House Judiciary Committee Chairman Jerrold Nadler, D-N.Y., is interviewed on "This Week." Another week, another first. Even John Dean's testimony against Richard Nixon didn't have the raw venom Michael Cohen hurled at Donald Trump. 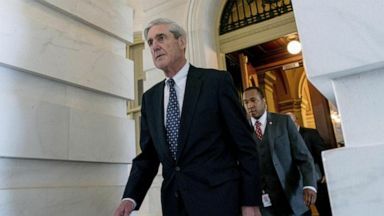 Or the vitriol hurled right back at Cohen, and even as Washington braces for Robert Mueller's final verdict, more revelations from prosecutors in New York. It is now clear that congress is ushering in a new phase for the trump presidency. 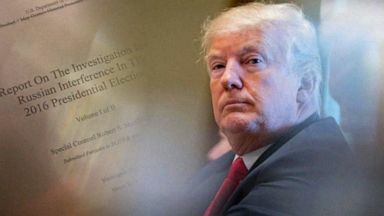 For now, party lines holding fast, but six house committees armed with subpoena power are now poised to examine every facet of president trump's life. His campaign, his white house, his foundation and the business that made him famous. One big question, will what they uncover be cause for impeachment? 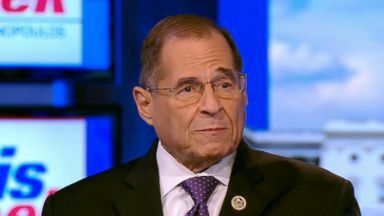 And the man who may have the most to say about that, our first guest, the chairman of the judiciary committee, Jerry Nadler. 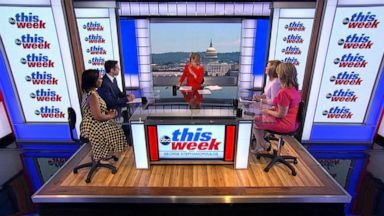 Welcome back to "This week." Morning. So did you learn anything from the Michael Cohen hearing this week that would lead you to open an impeachment investigation? What we learned from the Cohen testimony is he implicated the president in various crimes both while seeking the office of president and while in the white house. You're talking about the campaign finance. Campaign finance, yes. That was the major one. Impeachment is a long way down the road. We don't have the facts yet, but we're going to initiate the proper investigations. The Republicans -- Impeachment investigations? No. The Republicans spent two years shielding the president from any proper accountability. They have threatened to impeach people in the justice department. They have threatened the investigation -- the Mueller investigation. It's our job to protect the rule of law. 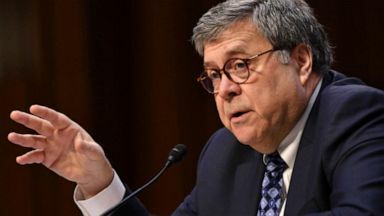 That's our core function and to do that, we are going to initiate investigations into abuses of power, into corruption of justice -- into corruption and into obstruction of justice. Let's dig down to that. You said in the past there can be crimes that are in the impeachable offenses. 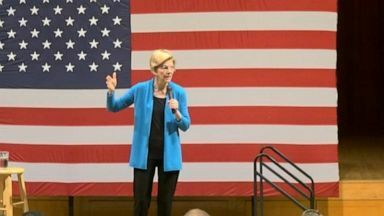 Is a campaign finance felony like the one outlined against president trump one of those? A violation of -- seeking to sabotage a fair election would be an impeachable offense. Is that what you saw? Well, we'll see. I mean -- that -- we'll see about that, but we are far from making decisions on that because we have to look into -- our core job is to protect the rule of law, and there have been no investigations. 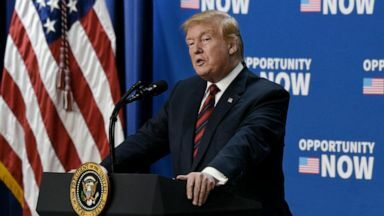 We have seen real threats to the rule of law in this white house, whether personal enrichment where the white house seems to use his power for personal enrichment, the violation of the emoluments clause of the constitution. We have seen abuses of power in obstruction of justice, threats to the Mueller investigation, threats to witnesses. All of these have to be -- all of these have to be investigated and laid out to the American people. Let me pick up on that. The abuse of power that you lay there is one school of thought that a sitting president can't be indicted. Especially for actions he takes in office, but some of your fellow Democrats already say that the evidence the president has obstructed justice in the Russia investigation is an abuse of power that justifies impeachment. Can there be impeachable offenses like that that are not crimes? Oh, sure. Crimes and impeachable offenses are two different things. There can be crimes that are impeachable offenses and they are two different tests. We have to lay out for the American people and we can't depend on the Mueller investigation for this. 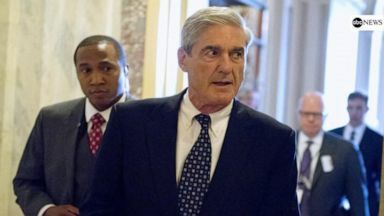 The Mueller investigation number one, we don't know when it's ending despite lots of rumors. Number two, it's focused on specific crimes and we have to focus much more broadly on abuses of power and what I said a moment ago. 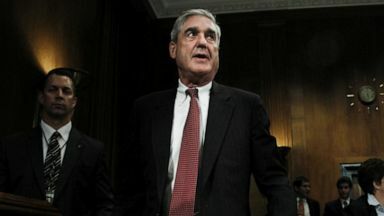 Well, the question -- And the justice department has made clear in the last few weeks that it may hide from the American people the conclusions of the Mueller investigation. 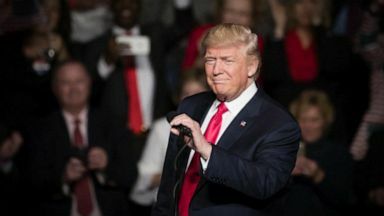 We will fight to make that public, but the justice department has said that the normal -- the normal policy that you don't comment on the conduct of people who are not indicted will prevail, and that should normally prevail, but not when you say the president cannot be indicted because he's the president. That turns it into a coverup. Let's pick up on that because the deputy attorney general rod Rosenstein spoke out on that this week. Let's take a look. 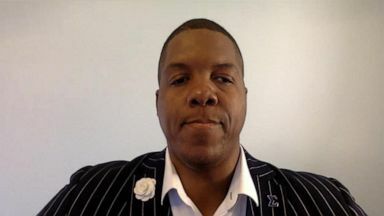 When we charge somebody with a violation, we need to be prepared to prove it by evidence beyond any reasonable doubt. If we aren't prepared to prove our case beyond a reasonable doubt in court, we have no business making allegations against American citizens. 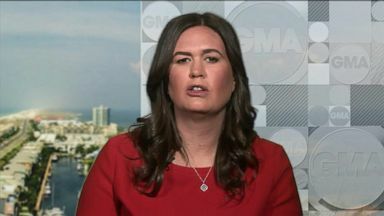 So if the report comes back and says we can't indict a sitting president, or we found no evidence of a crime committed by the president there, or you're not going to see the underlying evidence, what can you do? Those are two different things. If they say we have seen no evidence of a crime, they ought to say that, and say why. And that's fine. But for -- Would you want underlying evidence there? We want underlying evidence. The American people are entitled to know it and congress is entitled to know it because it's our job to hold the president accountable. 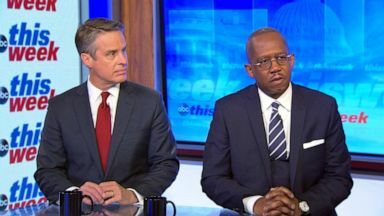 It's our job to hold any president accountable, but Rosenstein went much further, and Barr did too because they said a president cannot be indicted and if you then say because the president cannot be indicted, you're not going to give the evidence of his crimes, if any, to the public, you're saying the president cannot be held accountable. You will sue in that case? We will subpoena and do whatever we have to do. Back in 1974, the house committees were able to get access to the grand jury evidence against Richard Nixon. Can you get that evidence in this case? Maybe. Our lawyers are -- we will do everything we can to get that we'll do everything we can to get whatever evidence. We are starting this investigation. Tomorrow we will be issuing document requests to over 60 different people and individuals from the white house to the department of justice, Donald Trump Jr., Alan weiselberg, to begin investigations to present the case to the American people about obstruction of justice, corruption and abuse of power. That would include John Kelly, the former chief of staff, don mcgahn, the former white house counsel? I would imagine. I don't have the list in front of me, but we will be releasing the list tomorrow of over 60 entities, people, et cetera. How about if Robert Mueller comes back and says definitively, we found no collusion? Is that a conclusion you will accept? 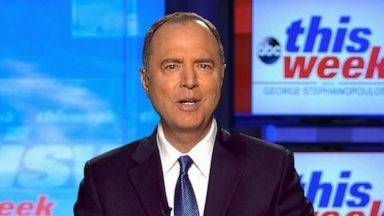 We have to see the evidence behind that, and see the validity of that, and we could agree or disagree, but this investigation goes far beyond collusion. We have seen all the democratic norms that we depend on for democratic government attacked by the administration. We have seen attacks on the the freedom of the press, the enemy -- the press called the enemy of the people, attacks on justice, attacks on the FBI, attacks on judges. These are all corrosive to government and our constitutional system. All of this has to be looked at, and the facts laid out for the American people. Do you think the president obstructed justice? Yes, I do. It's very clear that the president obstructed justice. It's very clear. 1,100 times he referred to the Mueller investigation as a witch hunt. He tried to -- he fired -- he tried to protect Flynn from being investigated by the FBI. He fired Comey in order to stop the Russia thing as he told NBC news. He -- he has dangled part -- he has intimidated witnesses in public. If that's the case, then is the decision not to pursue impeachment right now simply political? If you believe he obstructed justice? No. We have to -- we have to -- we have to do the investigations and get all this. We do not now have the evidence all sorted out and everything to do an impeachment. Before you impeach somebody, you have to persuade the American public that it ought to happen. You have to persuade enough of the opposition party voters and trump voters that you are not just trying -- That's a very high bar. It is. You're not just trying to steal or reverse the results of the last election. We may not get there, but what we have to do is protect the rule of law. This week, "The New York Times" reported that the president overruled his white house counsel and the intelligence agencies wanted to deny a top secret security clearance to Jared Kushner. In your viewing even though the president has the right to give the security clearance to anyone he wants to give it to, was that an abuse of power? Yes, I think it was an abuse of power. Look. The president has the right to do a lot of things, but he can abuse his power in doing that. Members of congress have the right to vote for or against a bill, but if they do so because someone paid them $50,000 to do so, that's abuse of power and also a crime. So you can do things that are within your power that are abuses of power and that are crimes. One final question. The president put out a tweet early yesterday morning. I want to show it up on the screen. Very proud of perhaps the greatest golf course anywhere in the world. Also furthers uk relationships. That of course, is a trump golf course in Scotland. Many ethics experts came out and said that's a violation of the emoluments clause. Do you agree? Seems to be. That's one thing we should be investigating under the abuses of power. Let me say this. 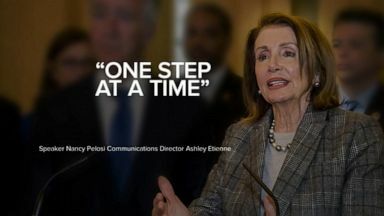 Congress has to do its job, and congress has to do its job whether investigating the administration, holding the administration accountable which the Republicans in congress absolutely refuse to do, and dealing with other problems. We passed last week for the first time in the house, for the first time I think in 20 years, some real gun control legislation. The American people by margins of 90%. The Republicans refused to hold hearings. Among Democrats in that vote. Not much. We got 240 votes or something like that. We -- we held hearings on the trump administration policy of tearing children away from the arms of their mothers. These are things congress ought to be looking at, that the last congress -- the Republicans in congress acted as hand maidens and shields to the administration to shield them from any kind of accountability. 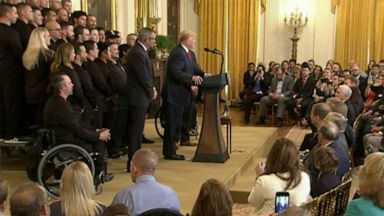 We must give accountability to the American people and hold the administration's feet to the fire, and we must show if there are abuses of power, if there are obstructions of justice, if there is a threat to the rule of law, we must protect the rule of law so that the democracy that was handed down to us is just as intact after this president leaves as it was before he came in. Congressman Nadler, thank you for your time this morning. 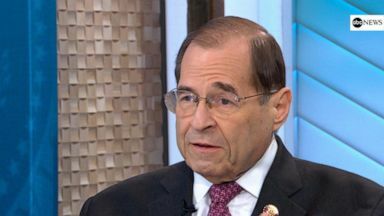 Rep. Jerrold Nadler, the incoming chair of the House Judiciary Committee, addresses the firing of Attorney General Jeff Sessions and the priorities for his committee on "This Week." 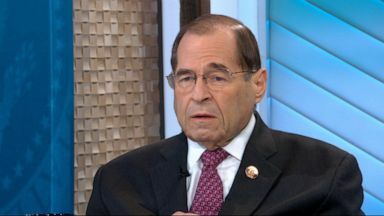 Ranking member of the House Judiciary Committee Rep. Jerry Nadler is interviewed on "This Week."